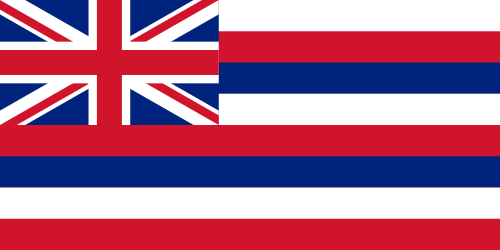 Forklift Certification in Hawaii - Be Certified Today! You must adhere to the training requirements before looking for a training provider in your area. The requirements are listed below for your reference. Enroll in the forklift training in a school that provides a course that meets or exceed OSHA standards. List of training providers in Hawaii is mentioned below for your reference. Attend the formal and practical parts of the training course. The formal training usually lasts for four hours and incorporates video and power points presentations, theory lectures, simple quizzes, and student-trainer one-on-one discussions. At the end of the formal training, trainees will be given the written examination. Here's an article to help you pass the written exam and ace the practical test. The practical training follows. The actual forklift operation is done at training center’s facility that simulates actual working condition. The trainer supervises the performance of the trainee to grade and evaluate. If the trainee is successful completing the course, the training provider will issue him license card and certificate of training at the end of the course. If the trainee is not successful, he can retake the tests, here's a guide taking the retraining. The forklift license is valid for three year. Renewal should be done after this period. Only certified operator must perform forklift driving job, and license must be specific to the type of forklift truck you are operating. Your certification is valid anywhere in the state of Hawaii for three years. If you are contracted for employment in another state, your certificate is recognized by any state in the U.S. and Canada. An applicant must be 18 years old and older, you need present an ID to verify your age. Can speak well in the English language. Class participation is need during classroom lectures. The operator doing the actual job must communicate well with other operators to avoid mishaps and near misses. In very good health condition. Taking the training, actual work deployment, and working long hours demand operator to be in perfect shape. With a good vision. An operator must see everything in his working area to gauge distance while maneuvering and moving the forklift without risking property damage or injury to the people around. A good trainee can easily understand trainers instruction. Must have a valid driver's license or government issued I.D as proof of identification. You can bring with you a Xerox copy of the certificate of training and license card that you earned in the past. You must wear complete PPEs during the hands-on training: hard hat, safety vest, safety glasses, shoes with a steel toe, and long sleeve shirt, pants. A certified operator employed in Hawaii earns at an average of $37,785 per year. But salary could vary depending on the competency level of the operator, size of the business, location of the company and state economic status. You may contact Hawaii labor office and OSHA area office for more information regarding wage, benefits, industrial safety and health and licensing.